The 1000 Naira data plan from Etisalat that formally offers 1GB data value has now been modified to give 1.5GB data instead. As the Internet Service Providers in Nigeria continues to introduce new affordable internet data plans from time to time, I really don't see a reason why people should still rely on getting "cheats" that will only last for a very little time before it gets blocked. To subscribe for the Etisalat 1.5GB data, simply dial *229*2*7# and make sure you have a minimum of 1000 Naira credits before dialing the code. 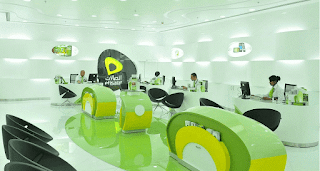 This Etisalat data plan is usable on all your internet enabled devices.